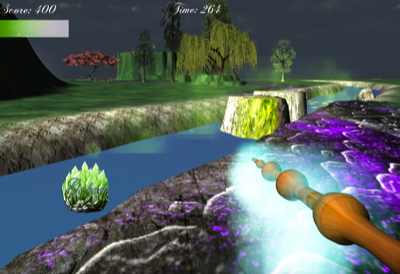 Telazue is a 3D adventure game. The player controls a character called Alexia. The player is required to guide Alexia through the island environment and overcame obstacles in order to save the island that is dying from a mysterious dark force. The player will be tested on his solving problem skills by completing different puzzles. This project utilised my design and game design skills in the development of Telazue. It was a individual project and I developed and programmed the game using C♯ and java script. The Character and 3D assets were designed and animated using 3ds Max and Maya. C♯ was also used to create the enemy AI. 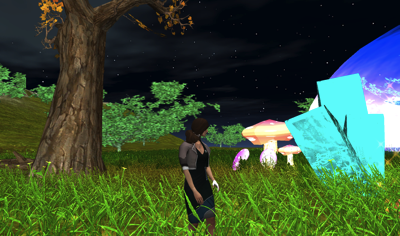 Elvendia is a 3D serious prototype first shooter game created for PC. The serious game is a game for people suffering from stroke but all types of users can enjoy the game. The player controls a character called Elwing, a female elf, who is lost on earth due to her magic being depleted. 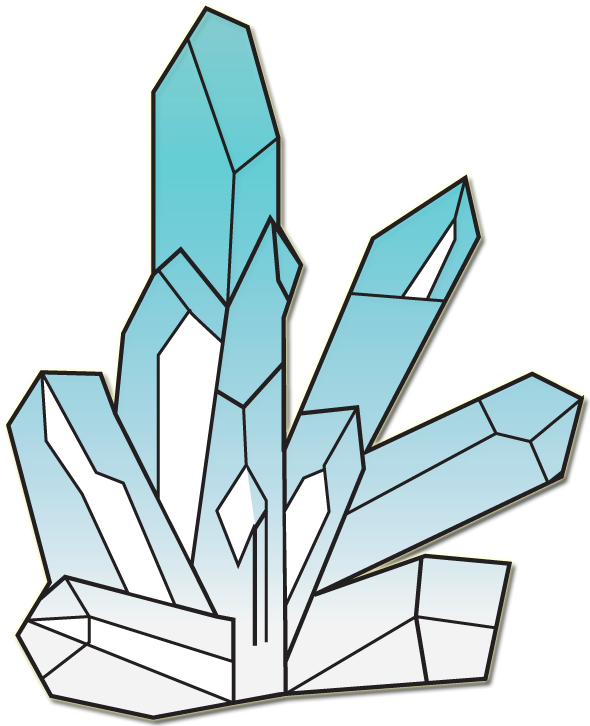 The player gets her to shoot at gemstones and fruit which accumulates points that build her magic up, which is depicted in a magic bar visible to the player. On reaching a specific number of points it allows Elwing to find her way back home to her kingdom in the sky. 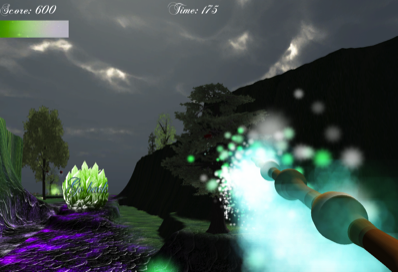 The player must avoid the deadly mist and shooting cursed objects that will drain her magic. This project utilised my design and game design skills in the development of Elvendia. It was a individual project and I created the core game mechanics using Java script. This included the health system, the physics collision for the player and particle collision.